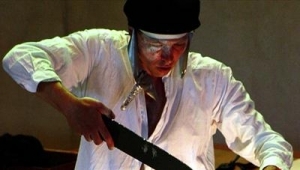 Jeremy Hardingham is a theatre maker and performance artist. He runs the Judith E. Wilson Drama Studio at Cambridge University. 'Terrifying, painful, utterly compelling.' - Lyn Gardner, The Guardian. 'It is the complexity, not as styling but as argument, that ultimately is moving and impressive and jags in the mind: for all the ferociousness of his inquiry into language and object and abstraction and absence, as ever his work is alive with the essentially theatrical discovery of how the individual, buffeted (as Lear is) by what seem to be malign extraneities, contains and embodies all the graces and desolations of properly collective response, and spells out in poetry and grunting the massed chorus of aloneness.' - Chris Goode.